The judgment of the Court of Appeal in Duce v Worcestershire Acute Hospitals NHS Trust  EWCA Civ 1307 deals with a number of matters. Here I want to look at the question of proving causation in a case where the claimant was alleging that she had not given informed consent. The Court specifically rejected an argument that a claimant did not have to prove causation in cases where informed consent was not given. The burden remained on the claimant to show that a different course of action would have been taken if they had been given appropriate warnings. 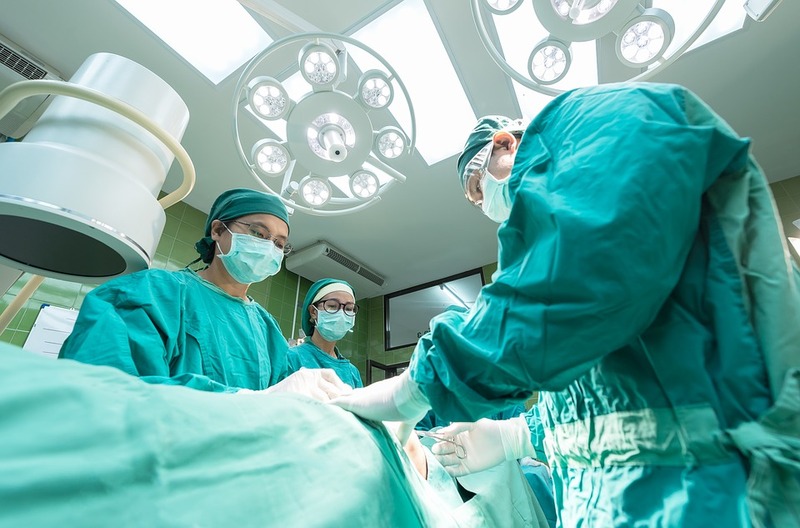 The claimant underwent an operation and suffered severe nerve damage. There was no suggestion that the operation was performed negligently. Her case was that she was not adequately warned of the risks of the operation and if she had been warned she would have not have consented. The claimant failed at trial. The Court of Appeal dismissed her appeal, it upheld the finding that there had been no breach of duty. It then considered the arguments relating to causation. The claimant argued that it as not necessary to prove that she would have taken different steps if she had received adequate warning. The appellant’s case on causation at trial was that had a warning been given she would not have had surgery on that day. That was the pleaded case and the case put in argument at trial. The judge rejected that case on the evidence and found at  that even if there had been a warning to the effect said to be required the appellant “would have proceeded with the operation on that day”. “86. I start with the proposition that the law which imposed the duty to warn on the doctor has at its heart the right of the patient to make an informed choice as to whether, and if so when and by whom, to be operated on. Patients may have, and are entitled to have, different views about these matters. All sorts of factors may be at work here—the patient’s hopes and fears and personal circumstances, the nature of the condition that has to be treated and, above all, the patient’s own views about whether the risk is worth running for the benefits that may come if the operation is carried out. For some the choice may be easy—simply to agree to or to decline the operation. But for many the choice will be a difficult one, requiring time to think, to take advice and to weigh up the alternatives. The duty is owed as much to the patient who, if warned, would find the decision difficult as to the patient who would find it simple and could give a clear answer to the doctor one way or the other immediately. (1) The injury was intimately involved with the duty to warn. (2) The duty was owed by the doctor who performed the surgery to which the patient had consented. The appellant contends that all three of those requirements are satisfied in this case. Mr Donovan QC submits that this broad reading of the causation test established in Chester is bolstered by the policy arguments identified by the Supreme Court in Montgomery. Reliance is placed, in particular, on references made to the change in doctor-patient relationships, such that patients are now widely regarded as holding rights and treated as consumers exercising choices ; changes in general society such that patients should no longer be viewed as generally uninformed ; the shift in medical practice towards informed consent ; the recognition of informed consent as a human right  and to the statements that “the need for informed consent [is] firmly part of English law” . As Mr Havers QC points out, this argument, if correct, amounts to a wholesale disapplication of conventional causation principles in consent cases. The passages from Lord Hope’s judgment which are relied upon need to be considered in their factual context. This is a finding of “but for” causation, or causation in fact. The injury was a result of the breach of duty because (i) the operation would not have taken place when it did and (ii) the risk of injury was very small and so was unlikely to have occurred if the operation had been carried out on a subsequent occasion. At  Lord Hope then identified the “question of law which arises from these findings” as being “whether it was sufficient for Miss Chester to prove that, if properly warned, she would not have consented to the operation which was in fact performed and which resulted in the injury, or whether it was necessary for her to prove also that she would never have had that operation” (underlining added). The same point is made at . He also notes at  that it is difficult to say that Mr Afshar’s failure to warn was “the effective cause of the injury” given that it had not been proved that she would never have had the operation or that the failure to warn had exposed her to an increased risk of injury – see also . In the section of his judgment headed “The answer to the problem of causation in this case” Lord Hope stresses the relevance of the particular facts of the case and considers whether “in the unusual circumstances of this case justice requires the normal approach to be modified”. He then concludes that justice does so require for the reasons set out at - and, in particular, the fact that the injury “was the product of the very risk that she should have been warned about when she gave her consent” . When paragraphs - of Lord Hope’s judgment are considered in context in my judgment it is clear that he is not setting out a free-standing test, as the appellant contends, but rather the circumstances which justify the normal approach to causation being modified. That modification was to treat a “but for” cause that was not an effective cause as a sufficient cause in law in the “unusual” circumstances of the case. It was the powerful reinforcement provided by the close link between the injury suffered and the duty to warn that led Lord Walker also to conclude that “but for” causation was sufficient. I accordingly agree with the respondent that the majority decision in Chester does not negate the requirement for a claimant to demonstrate a “but for” causative effect of the breach of duty, as that requirement was interpreted by the majority, and specifically that the operation would have not have taken place when it did. It is also to be noted that in the recent case of Correia v University Hospital of North Staffordshire NHS Trust  EWCA Civ 356 the court emphasised at  that if “the exceptional principle of causation” established by Chester is to be relied upon it is necessary to plead and prove that, if warned of the risk, the claimant would have deferred the operation. The claimant also attempted to overturn the trial judge’s finding that she would have proceeded with the operation in any event. The Court of Appeal rejected that argument. “This is a challenge to the finding of fact made by the judge that even if the appellant had been warned as it was contended she should have been, she would still have proceeded with the operation as she did. This finding is set out in  of the judgment. Mr Donovan QC treats the factors identified in that paragraph as being the sole factors considered by the judge and contends that this shows that the judge failed to take into account a highly material consideration, namely that, since the predominant reason for seeking the operation was pain relief, a warning of the risk of further and different chronic pain would have caused her to reconsider. The finding made by the judge in  was made against the background of all the evidence at trial. This includes relevant evidence referred to at various earlier parts of the judgment, such as (i)(v)(vii) and -. It also includes the compelling evidential points made at -. As the respondent submits, there was abundant evidence to support the judge’s finding. The appellant had on several occasions been urged by medical practitioners (both GPs and gynaecological surgeons) to consider the less invasive alternatives to TAH, which she was aware was major surgery which carried significant risks; she nonetheless declined to pursue those less invasive options and elected instead to undergo TAH. Further, paragraph  itself stresses the important point that the appellant was willing to go ahead despite the fact that there were “a number of other quite serious risks”. As the judge found, “she wanted it all taken away” despite known serious risks. There is in any event no substance in the suggestion that the judge omitted from consideration the appellant’s motivation(s) for proceeding to surgery. The judge considered in detail the applicant’s long history of symptoms from which she hoped to gain relief by undergoing surgery. That history was justifiably rightly considered to weigh in favour of her choosing to undergo surgery when she did, even if a different warning as to the risk of pain had been given.